← Sword Art Online Alternative: Gun Gale Online gets an English Dub! This one and his enemy joins Jump Force. Welcome everyone for another exciting news from Matt-in-the-Hat! Today’s news invovles the upcoming crossover game Jump Force. 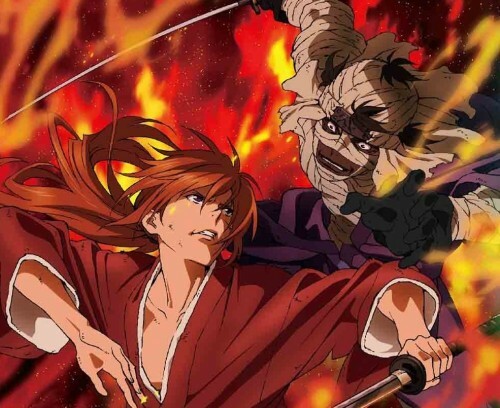 Another Shonen Jump title joins the fight for good and evil from the well-known series Rurouni Kenshin. It’s been revealed that the protagonist Kenshin Himura will be joining the game. Kenshin is the master of the Hiten Mitsurugi-ryū, an ability where Kenshin can move in godspeed and with his reverse blade sword, he can crush his opponents without killing anyone. The antagonist of the series, specifically in the Kyoto Arc or season 2 of the anime, Shishio joins the fight. Shishio is just like Kenshin who was also a killer and his sword allows him set fire on his opponent because of the sparks left behind. Rurouni Kenshin is based on the manga series Nobuhiro Watsuki who also another manga series called Buso Renkin. Two legendary swordsmen from the past are stepping into JUMP FORCE! Enter KENSHIN HIMURA and SHISHIO MAKOTO! Jump Force is expected to be released on Feb 16th, 2019 for PS4. X1 and PC.